Mr. Rains is a nationally recognized trial lawyer who specializes in litigation involving securities, investment management and SEC investigations. He defends companies, and their officers and directors, in class actions, derivative actions, SEC enforcement proceedings, and internal investigations. Mr. Rains’ engagements have focused on companies in the financial services, computer software and hardware, life sciences, and retail industries. List of Mr. Rains’ Engagements. Mr. Rains has been recommended as a nationwide leader in securities regulation enforcement by Chambers USA: America’s Leading Lawyers for Business, which commended him for “his diligence and tenacity.” He is also recommended byThe Best Lawyers in America, The Legal 500, Benchmark Litigation, and Northern California Super Lawyers. List of Mr. Rains’ Rankings. Mr. Rains served as co-chair of the firm’s Securities Litigation, Enforcement, and White-Collar Criminal Defense practice group from 2003 to 2010. Mr. Rains is a highly-sought-after lecturer and commentator. 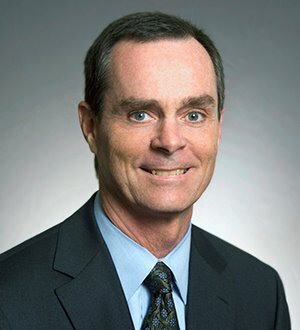 He is a regular speaker at programs offered by The SEC Institute, The Directors Roundtable, and the American Corporate Counsel Association, has appeared on CNN, and has been quoted in The New York Times, The California Lawyer, Fortune Magazine,The Los Angeles Times, The National Law Journal, and many other publications. He is also the author of a number of timely and informative articles. List of Mr. Rains’ Publications. Mr. Rains is a member of the Securities Litigation Committee of the American Bar Association and its subcommittees on class actions and broker-dealer litigation. He is also a member of the San Francisco Bar Association’s Securities Litigation Section. Mr. Rains contributes his time and resources to a number of community and religious service organizations. He has served since 2003 on the board of directors of the Law Foundation of Silicon Valley, a non-profit organization supporting public interest law projects throughout Silicon Valley, and was its president for the 2009-2010 term. Mr. Rains graduated with honors from Brigham Young University in 1979 (B.A., International Relations), and received his J.D. degree in 1982 from Columbia Law School, where he was a Harlan Fiske Stone Scholar.